We’ve all been there – amidst the chaos created by multiple login credentials, user permissions, and ad management features on Facebook. Not only can using specific “manager” accounts (aka “grey accounts”) cause confusion, but it can put your companies’ and/or clients’ Facebook accounts & ad payment info at risk to hackers or individual mistakes. Luckily Facebook has created an invaluable tool to help your employees collaboratively manage social media profiles. Enter Facebook Business manager – a tool that compartmentalizes what information employees can access without having to share login information. Designed to integrate all Facebook Management efforts into one tool, Business manager streamlines Facebook management for all types of advertisers and agencies. Each user logs into business manager via their personal Facebook account (those who want to truly separate their personal lives from professional duties can create accounts using their work email addresses) – eliminating the need to share login credentials for managing branded accounts. Facebook Business Manager is not new – in fact, Facebook mandated that all advertisers should switch to the platform by February 16th of this year – yet many businesses still use Facebook’s traditional Ads Manager to setup and manage ads. Heed warning: failure to migrate can put your payment information at risk, and lead to contradicting/incorrect ad content + targeting criteria. This happens especially when an organization utilizes both ads manager natively from their personal accounts and business manager’s ad creation & launch tool: Power Editor. FB Business manager lets you easily advertise multiple aspects of your business to different target audiences simultaneously. Migrate, setup your campaigns, and watch how much time you save managing ad campaigns! Keep an eye out for future blog posts on exciting new FB advertising tactics and capabilities. 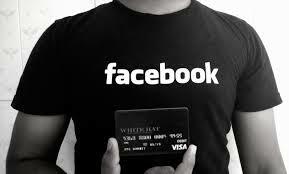 Intimidated by the migration process of Facebook Advertising? Give us a shout! We live and breathe this stuff. Email info@sayitsocial.com today.